Homestay or simply known as living with local families while traveling to an entirely new country is one of the most enriching experience that not only make you easily get to know about this country national culture, their daily lifestyle better throughout the locals’ stories but also lead you to feel like being right at home. 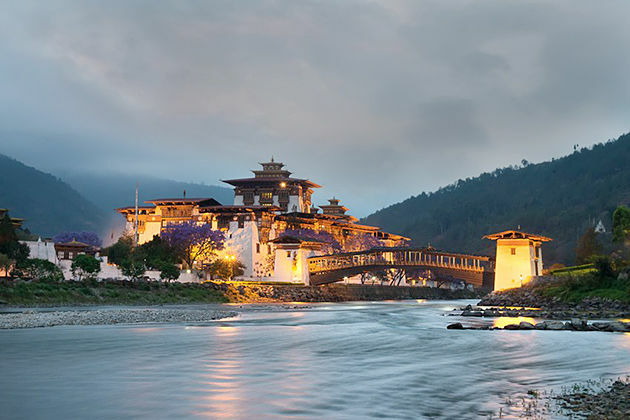 Bhutanese people are well-known for their hospitality and generosity, then instead of spending vast of money on luxurious hotels and resorts, try to make your Bhutan vacation becomes completely perfect by opting for homestays in Bhutan as they express Bhutan’s culture and hospitality which the Bhutanese take pride in so far. Then, if you are wondering about where to find homestays in Bhutan, there are the 6 must-try homestays for you during your Bhutan trip. Owned by a Bhutanese English speaker-Aum Damchoe, then communicating between owner and guests was no longer problem while staying in this Thimphu homestay. The homestay offers a cozy and homely ambiance making the feel of being at home. 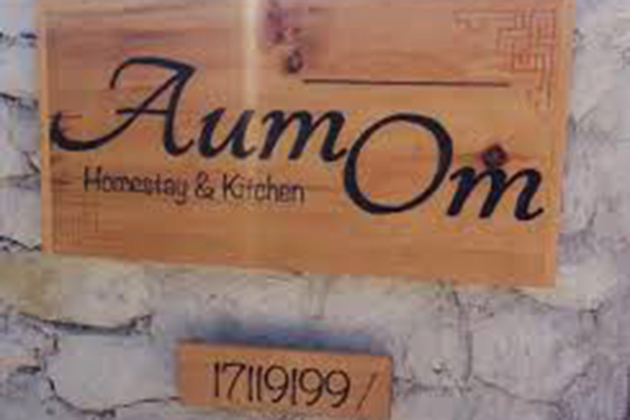 The owner, Mrs. Aum Damchoe is also a good cook, so it is great to try the authentic Bhutanese cuisine here. 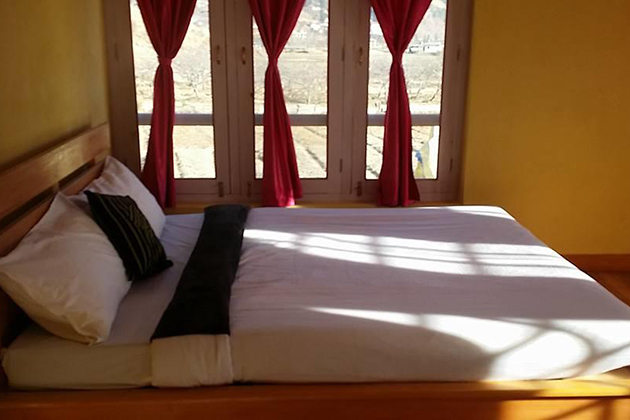 You are traveling in Paro, then do not miss this cozy homestay. The Bhutan homestay-Aum Om is known as more than a hotel less than a home; however, it is actually your home in Bhutan. If you are looking for an affordable homestay and beautifully mouth-watering dishes, the homestay really can be your thing. Run by Ugyen and Chimi, this little homestay is located in Haa district, at the base of three hills known as “Miri Punsum”. Rooms are incredibly clean and full of natural light offering comforts while lying in bed with your beloved partner. The owners are hospitable as they are always happy to have a chit-chat with guests, making them feel at home. If you are a vegetarian, you can ask for non-meat meals. Free parking and the stunning view of ancient houses are another things that you can have during your stay there. Another high-quality homestay in Paro, this one itself is famous for its facilities as you can use a huge range of services like private non-smoking rooms, hot spring bath, free parking, high-speed internet service. Staff are influent in speaking so you can easily communicate or ask for help without any hesitation. 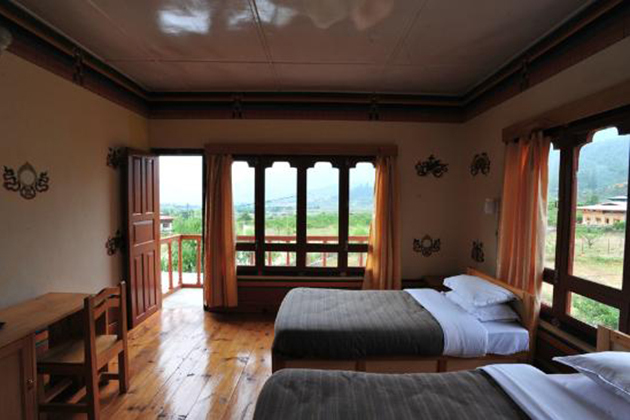 The Namgay Homestay has 3 type of rooms: triple, double, twin/double rooms. 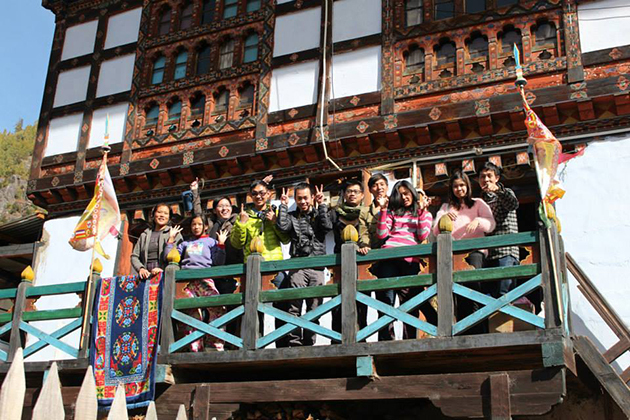 In the winter, the place looks heavenly and you are mesmerized by the Bhutan beauty. 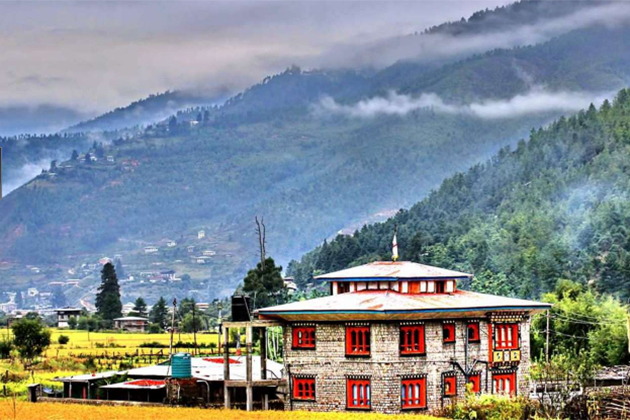 Paro, somehow, is a home of a lot of homestays that make looking for homestays in Bhutan has become easier than ever before. This homestay is well-worth for one who is a nature lover as it offers a wonderful garden surrounded including fresh plumbs and strawberries from an orchard. The best facilities and warm ambiance can be your thing during your stay in this adorable homestay. 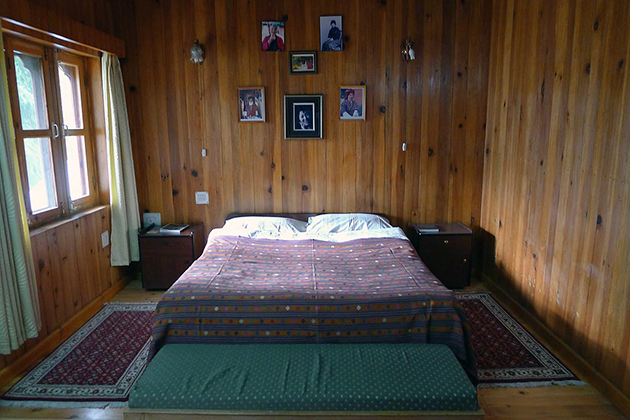 It is no doubt to say that Paro is the paradise of good homestays. Located in Paro, Authentic Bhutanese Homestay definitely is your place making the homelike atmosphere as each room is full of natural light offering a cozy ambiance while relaxing in a soft bed along with the à la carte breakfast. The homestay is also the only place providing bicycle rental services among others in Bhutan.